Tehran Times – TEHRAN, Mehdi Torabi says he is happy and proud to join Persepolis football team. 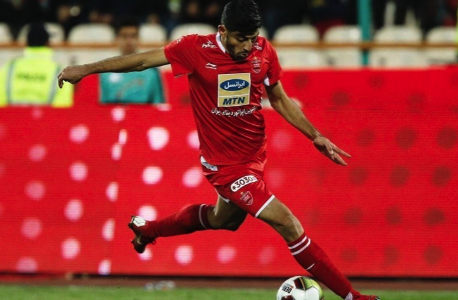 The 24-year-old player joined Persepolis from Saipa in the last year’s summer on a three-year contract, however he was sent back to Saipa on loan for the first half of the season. Torabi spent his entire career at Saipa prior to joining Persepolis. He made his debut in 2012 and after impressing in the Iranian Professional League, he received his first Team Melli call-up in 2015, scoring on his international debut against Uzbekistan. He was a member of Iran national football team in the 2019 AFC Asian Cup. Now, he says he is happy to join the Iranian most popular football team. “I don’t regret joining Persepolis despite I had several offers from the European clubs. I now have the honor of wearing Persepolis shirt. I’m very happy and proud. Persepolis have so many fans who always inspire the players. Playing in Persepolis is very pleasant,” Torabi said. “I Persepolis it doesn’t matter who plays. Winning is the most important thing and Persepolis players do their best to be a useful player for the team. I will also give my best effort when playing for the team and pray for our team’s success while I’m not in the starting lineup,” he added.